I am so pleased to be a part of this year's delegation to Guatemala, as a young worker, through the PSAC Social Justice Fund. This fund supports the Education in Action project in the communities of Quixaya and Nueva Vida, Guatemala. This year, 4 young workers have been sponsored to be a part of the 12 person delegation working closely with these communities to build a school and a medical center that the will be used for generations to come. Brother Ken Freisen and I are so pleased to be here as members of USGE. 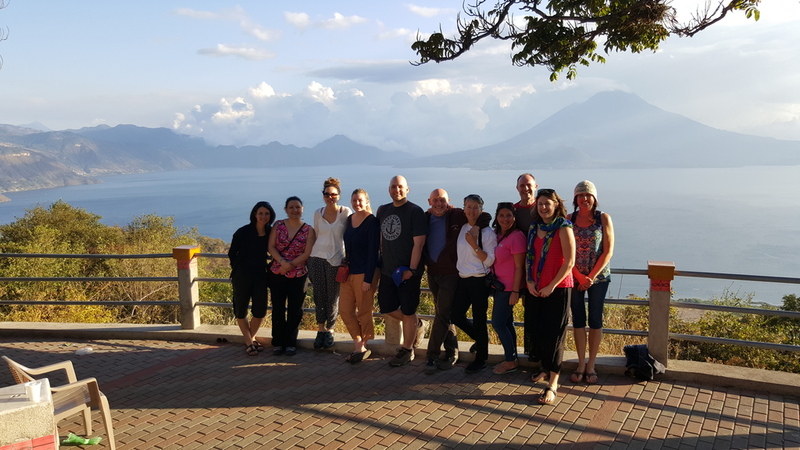 We've been here for 5 days already and have learned so much about the history of Guatemala and the culture. On our first day, to help us understand Guatemalan history, we visited the Casa de la Memoria museum. The history of Guatemala is one that is similar to North American countries which were "discovered" by Europeans. The Indigenous people here are Mayan, and when Guatemala was "discovered" by Spain, the Indigenous people became enslaved, and were forced to speak Spanish. Their history is one of oppression by the government, including a civil war that left 200,000 people disappeared. Today the Guatemalan people are still being oppressed by their government, however there are some beneficial changes that are taking place. For example, for the first time in Guatemalan history a rural man and an LGBT woman have been elected to Congress. The history lesson was important for the next part of our journey, where we met with CALAS and Dr. Yuri Moleni. 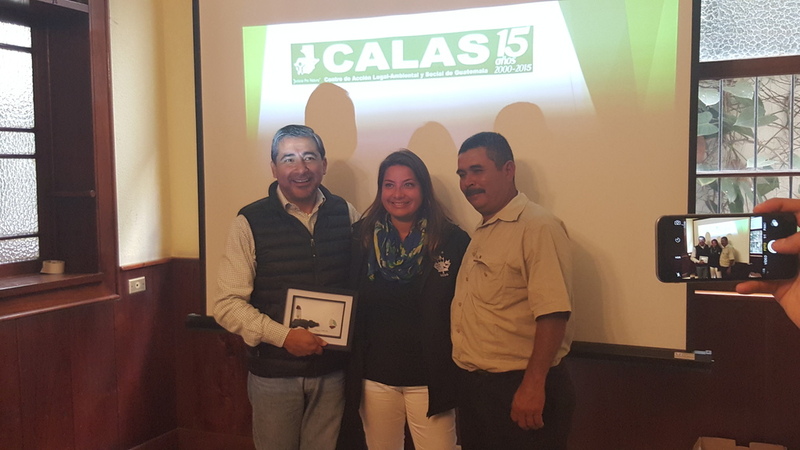 CALAS is an organization that takes legal action against the government on environmental issues. Also, much like our union, CALAS helps individuals when they do not know their rights. Similar to our union, it also helps set up protests and mobilizes the Guatemalan people. Dr Yuri, Human is an Environmental Rights Defender, he himself nearly lost his life after being shot 16 times, simply for standing up for the rights of others. One of the biggest cases CALAS is currently working on is in regards to the mining industry. Land is being taken from local people for the purposes of mining and the mines are putting the health and safety of communities at risk, including their access to safe drinking water. According to Guatemalan policy, safe water takes precedence over the interest of any company, however these policies are being ignored. While the local people tried to protest, the companies and government reacted by adding more security and police to intimidate locals. For example in one mining community. there are only 5,700 people, and 79 police officers. This story is not one in isolation, there are many other mining companies, as well as palm oil companies, that are polluting the resources the Guatemalan people rely on. CALAS' work here is very important. Stay tuned for my next dispatch.